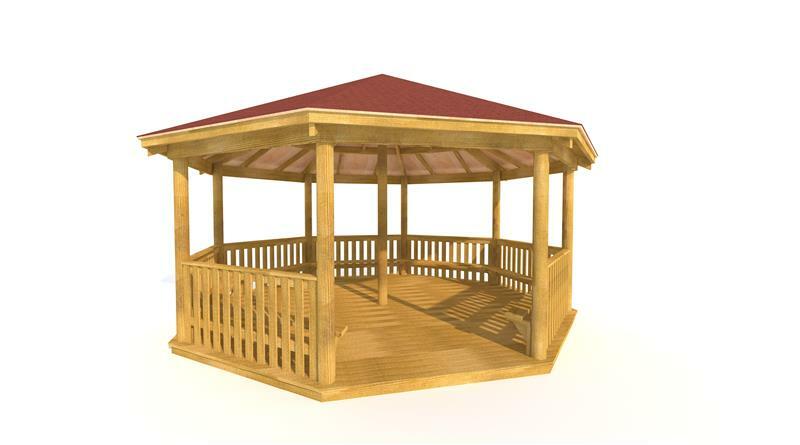 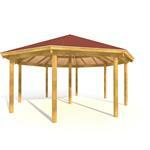 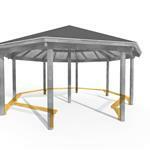 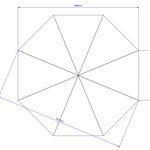 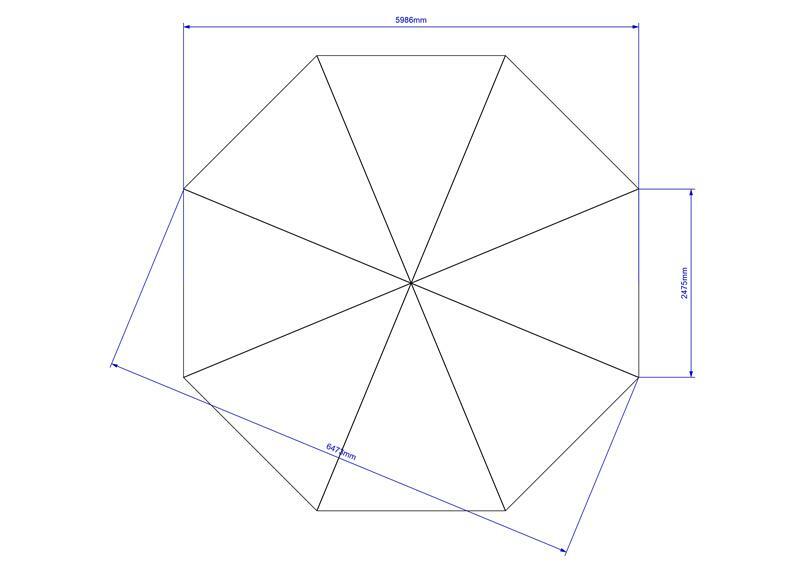 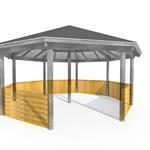 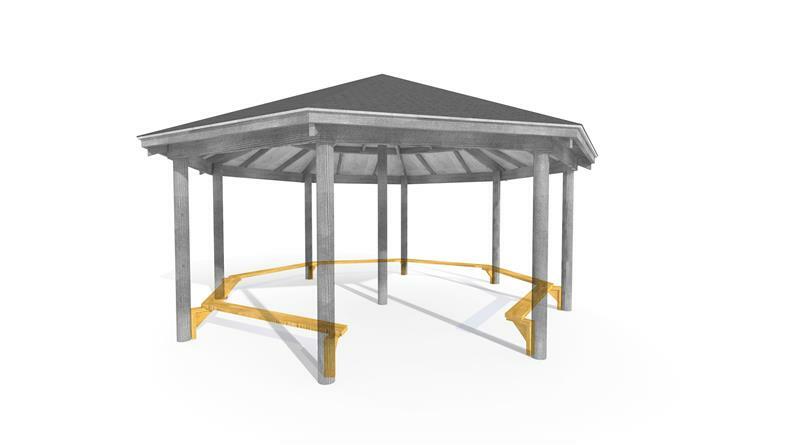 An octagonal gazebo comprising a bitumen shingle covered, timber roof, supported by hefty 6" round posts with seven benches and seven sides of picket fencing, all sitting on a decked base. 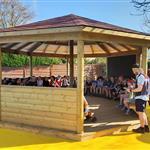 It's the perfect way to take a whopping 50 children outside in a sheltered, outdoor learning environment, and it can be freely positioned in an agreed location to meet your schools' needs. 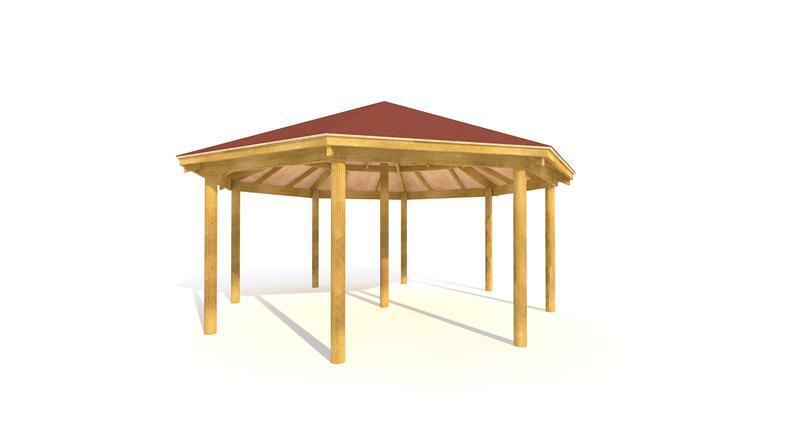 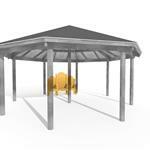 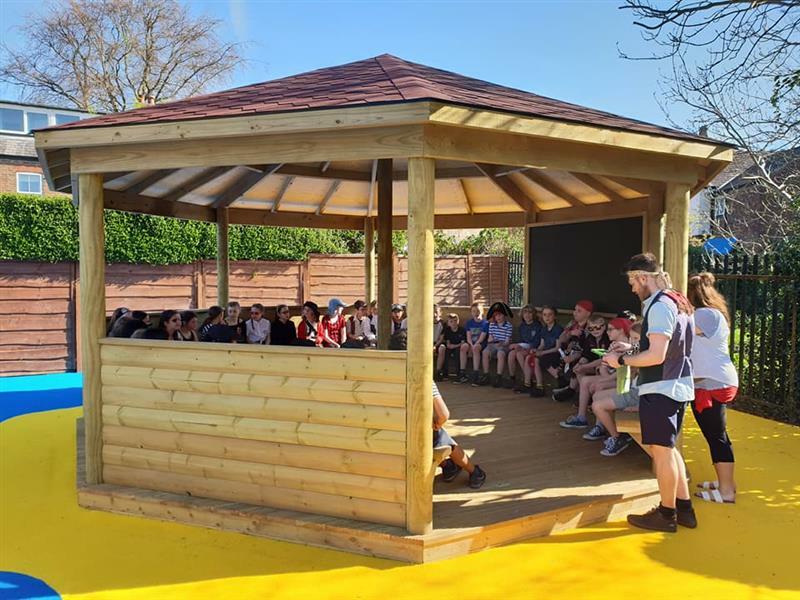 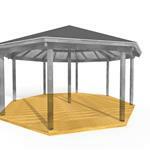 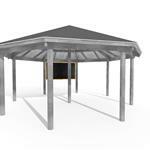 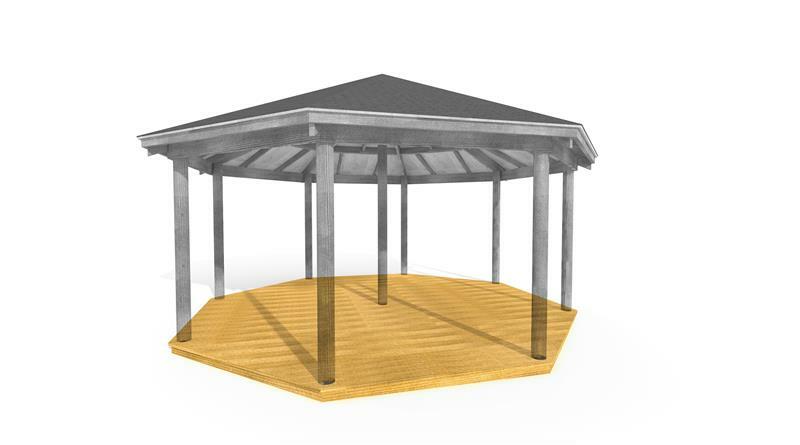 The gazebo's waterproof roof construction means that even on a rainy day your children will stay dry and focused during outdoor lesson times, while the decked base means there'll be no muddy or wet feet coming back into the classroom!